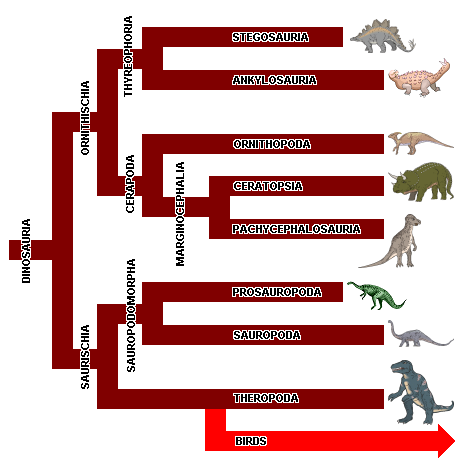 The Saurischia is one of two orders of dinosaurs (the other being the Ornithischia ("bird-hipped") dinosaurs). This system of classification was devised by Harry Seeley in the 1880s, and first published in 1888. Saurischian dinosaurs included herbivores (plant-eaters), carnivores (meat-eaters) and omnivores, in constrast to the Ornithischia, who were all herbivores (plant-eaters).